Altrincham removals in Manchester is a professional house and office removals company with over 15 vehicles and more than 21 years in the removal industry. we supply the most competitive prices in the united kingdom. Kitsons Transport removals and light haulage is based in the North West of England covering primarily Manchester, Warrington, Bolton, Wigan, Preston and surrounding areas. We are a family run business established with over 30 years of experience and provide a wide range of services from full and part removals (ie, Student 1 bedroom apartments to 4 bedroom Detached Houses) to piano removals, clearances and more. UK removals is a Blackburn based company, fully insured, providing furniture removal services throughout the Northwest, to anywhere in the UK. Our drivers and porters are very friendly and helpful, with plenty of experience in looking after your valued possession with care. All items are safely wrapped and secured in the van using removal blankets and ratchet straps where needed. Along with house moves we are also regularly collecting/delivering furniture from local stores and carrying out eBay collections for our customers so why not contact us for a free quotation. We pride ourselves in providing a service that is cost effective, friendly and reliable. 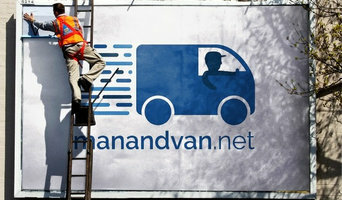 We will do whatever it takes to make your relocation as easy as possible. We manage all kinds of removals, big or small to give you that piece of mind. U.K.REMOVALS is a reputable company built on customer recommendations. Customer satisfaction is our top priority, that’s why we have excellent reviews and many happy customers. 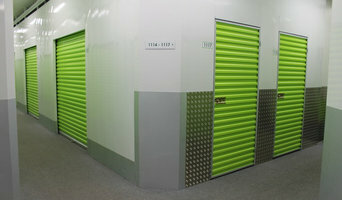 Store First offers State of the art storage services to Domestic and Commercial customers. From free pick ups, to free Wifi onsite, free gym usage, free meeting room/boardroom usage and competitive rates, we are the best in the business. PODS offers a unique way to move house and store belongings. We put the ball in your court during the moving process and we offer everything from packing and a full removal service, man and van, on and off site storage with our unique purpose built PODS and a DIY move so you move on your terms and take your time to load and unload your PODS Container. Rylands of Manchester are one of the UK’s leading providers of goods transportation and storage. For information about our removals Manchester, get in touch with us today. We are a local Manchester house removals company. Our company is based on providing a high level of service to ensure that our customers moving home with us are taken care of in an efficient and professional manner, to ensure they move home with minimum stress and hassle. 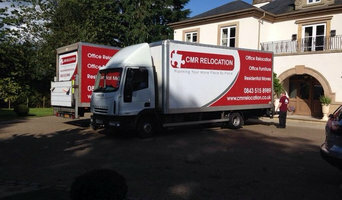 A local removal company coveing the UK and Europe. Established in 1864 and with over 150 years' experience, Merrills Removals in Sheffield is a family owned business with an excellent reputation. Whether you're moving across the road or to the other side of the world, our professional, efficient and friendly removal service is very competitively priced and we transport your possessions with the highest levels of care. Find companies in New Mills, Derbyshire, UK that provide storage or moving services on Houzz. Scroll through this page to find a home removalist storage solution in your area. Just enter your suburb at the top of this page to narrow your search. Get contact information or message professionals directly so you can ask about rates, and read customer reviews.